Canon has announced that the EOS-1D C, its unique and ground-breaking DSLR designed principally for motion picture capture, has been independently tested in accordance with European Broadcasting Union (EBU) standards for HD content acquisition¹. The tests found that the EOS-1D C is the first-ever DSLR to provide an image of high enough quality for use as a broadcast production tool. Results indicated that the EOS-1D C provides ‘exceptional’ HD resolution from a 4K source with ‘very low’ aliasing, and ‘good’ colour performance and motion portrayal. The test results also confirm that the EOS-1D C camera system and its imaging performance comply with the recommended specification for inclusion in the HD Tier 1 for HD Production². 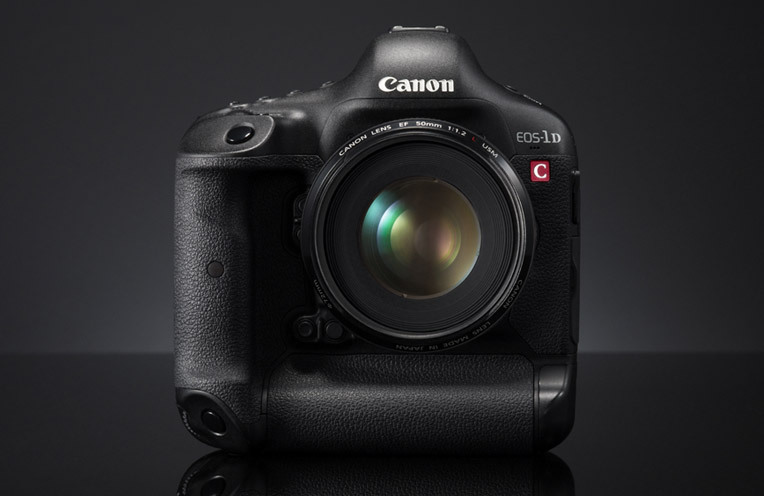 An innovative model that pushes DSLR video into new and exciting territories, the EOS-1D C delivers outstanding video quality, advanced low light performance and film-like dynamic range. It’s based on the same compact and lightweight design as Canon’s EOS-1D X, only with a specification that is designed for video-supporting in-camera 4K (4,096x2,160) video recording with 4:2:2 colour sampling, offering greater creative freedom for video professionals. Its unique design and 4K shooting ability offers videographers a unique and highly portable package that’s optimised for high-quality video recording. Advanced creative flexibility is provided with support for a range of resolutions and variable frame rates, with 4K video recorded using 8-bit Motion JPEG compression at 23.98P or 25P, and Full HD (1920x1080) video capture available at frame rates up to 1080/60p for smooth motion. As part of the wider EOS System, the EOS-1D C is compatible with Canon’s unrivalled selection of over 75 EF lenses – providing videographers with an incredible range of creative options. 1080p at 50/60fps; Canon Log Gamma. 18 Megapixel Full Frame CMOS. Up to 12fps stills; 14fps mode. Clear View II 8.1cm (3.2”) LCD.